Dec. 13 – Asia’s internet market is now home to two state-of-the-art data centers operated by Google, the company’s first such centers in the region. The data centers, located in Taiwan and Singapore, were opened this week as the industry giant seeks to capitalize upon the region’s growing base of internet users. In total, Google will invest US$600 million in Taiwan’s internet infrastructure and will contribute US$120 million to their Singapore operations. These locations will act as the company’s gateway into the region, which currently boasts over 600 million internet users, representing 40 percent of the world’s online community. This demographic is also the fastest growing and outpaces the global growth rate by 60 percent. “The growth in Asia’s Internet has been amazing. The number of Internet users in India has doubled, from 100 million to 200 million. 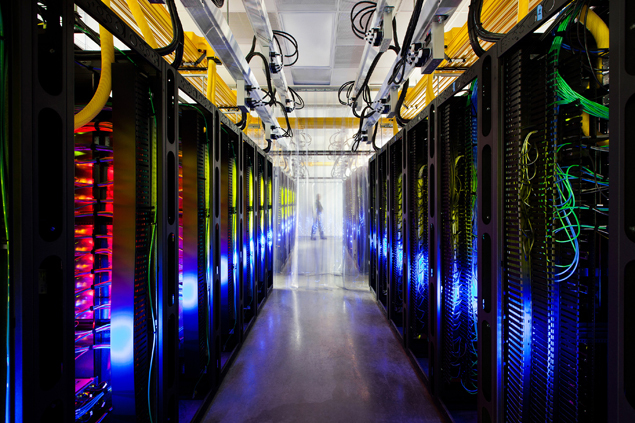 It took six years to achieve that milestone in the US,” said Joe Kava, Google’s Vice President of Data Centers. “This growth probably won’t slow for some time, since the majority of people that have yet to come online also happen to live in Asia,” he added. Among the 200 million internet users in India, Google maintains a 97 percent share of their search engine activity. By far, China represents the broadest base of internet users in Asia and accounts for 50 percent of the regions share of online individuals. Despite this, the market remains a difficult proposition for international firms looking to enter the highly regulated industry in China. “China’s censorship regime has gotten significantly worse since we left, so something would have to change before we come back,” said Google’s Executive Chairman Eric Schmidt. In Southeast Asia, Vietnam has the largest base of internet users, accounting for 10 percent of those online in Asia-Pacific, while the Philippines has recorded the fastest rate of growth among internet users. Demand for mobile data providers has surged in recent years as the population of online mobile users in Asia Pacific continues to grow. “The growth in Asia’s Internet has been amazing. Between July and September of this year alone, more than 60 million people in Asia landed on the mobile internet for the first time,” said Kava. The sector’s expansion is expected to continue, according to Analysys Mason, a telecom and technologies market intelligence firm. In 2014, Analysys Mason projects a nearly 70 percent increase in mobile data traffic, leading revenues in Asia-Pacific’s telecom sector. These revenues could amount to over US$320 billion per year by 2016, according to the firm’s forecast. Google hopes its presence in Asia will allow it to tap into the region’s fertile market and establish partnerships with domestic companies already taking advantage of the internet boom. “The Taiwanese ecosystem for technology companies is outstanding. Being close to the technology companies will give us opportunity to further some of our partnerships,” commented Kava. Several other companies have established data centers in Asia-Pacific, including US-based Verizon Terremark and Equinix. Meet the firm behind our content. Dezan Shira & Associates have been servicing foreign investors in China, India and the ASEAN region since 1992. Click here to visit their professional services website and discover how they can help your business succeed in Asia. Subscribe to gain even better insights into doing business in Asia. Subscribing also lets you to take full advantage of all our website features including customizable searches, favorite, wish list and gift functions and access to otherwise restricted content.